Just found this via the Team Vox blog . For me this is absolutely the cutest software mascot I’ve seen so far. 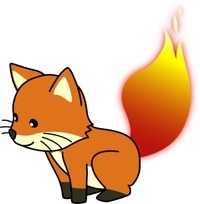 For more about the image image, Foxkeh etc., checkout the japanese Spread Firefox site.